Individual level diversity in traits and small-scale spatial and temporal heterogeneity are common features of aquatic microbial environments, but they are the hardest to measure and understand drivers of biodiversity changes and plankton productivity. We are developing innovative approaches to phytoplankton and lake-ecosystem monitoring and integrating data with community and ecosystem theory. The long-term goal is a correct understanding of plankton-driven ecosystem processes with the aim of contributing to a sustainable management of water resources, the biodiversity that they harbour and the services that they provide. 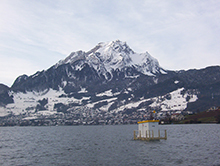 We aim at detecting and understanding patterns in phytoplankton community dynamics using our lake monitoring station Aquaprobe, currently deployed in Lake Greifensee, and by exploring long-term datasets from Swiss lakes. We want to assess how important are local and short term conditions (e.g. fluctuations, storms, seasonality), relative to regional long-term processes (e.g. climatic changes and dispersal) in determining the assembly of phytoplankton communities, and the maintenance of aquatic ecosystem process (e.g. production or transfer of organic matter). What is the relationship between responses at the level of individuals, community dynamics and ecosystem processes (including productivity)? We aim at describing single organisms based on expressed phenotypic traits that directly respond to environmental changes, disturbance, pollution as well as eco-evolutionary processes like selection, competition or predation. We are deriving indices of trait-diversity based on individually acquired data to understand how individual responses scale to higher-level effects. We approach this challenge using scanning flow-cytometry and we have identified a set of focal phytoplankton traits that respond quickly and significantly to species interactions or environmental filters. Our results suggest that the description of functional diversity afforded by measured individual traits is extremely sensitive with regards to environmental change and tightly bound to productivity dynamics. We study how rapid changes in the environment affect the size and pigmentation of individual phytoplankton cells, because these traits tell us a lot about their physiology, ability to compete and avoid predators, as well as which species are present. 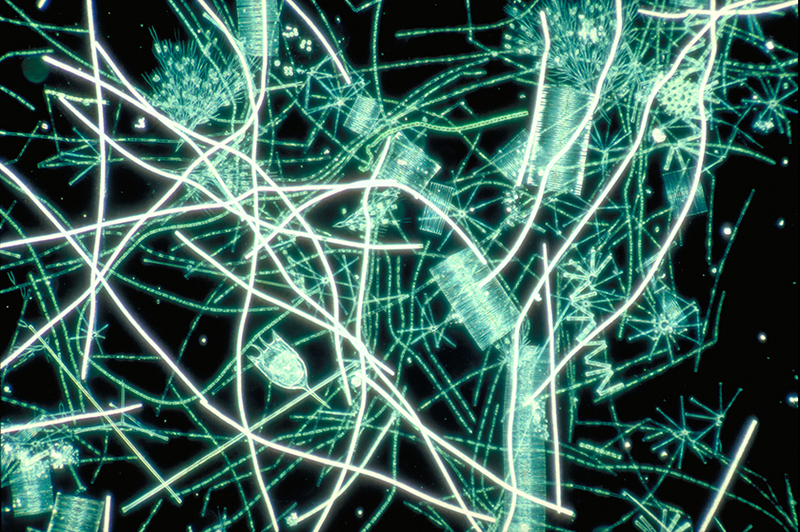 By understanding the connection between these traits and the environment today, we hope to forecast how future environmental changes will affect the phytoplankton community, possibly predicting the whole lake processes. 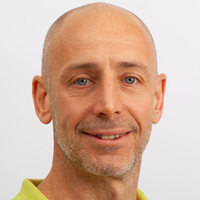 In collaboration with Eric Bakker (University of Geneva) and Bernhard Wehrli (ETH Zürich), we aim at developing new sensing tools to detect chemical gradients at high spatial and temporal resolution in the field in order to understand phytoplankton dynamics and their impacts on the local carbon cycle. This project will provide new tools to interrogate plankton microenvironments in situ and evaluate the ecosystem implications of microscale gradients and rapid biodiversity dynamics. A suit of novel sensors (nutrients, micronutrients, and other parameters relevant to the carbon cycle) are being validated and deployed in the field in tandem with scanning flow-cytometry in the automated platform Aquaprobe. 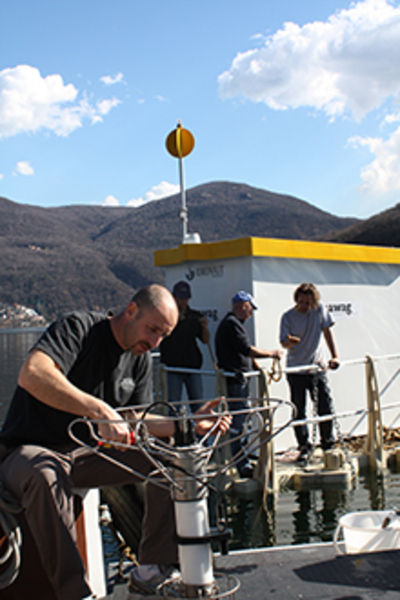 Development of new chemical sensor technology will allow to directly target key ecological questions: 1) Which variables influence short-term fluctuations in phytoplankton dynamics triggering cyanobacterial blooms? 2) How do such occurrences affect the local carbon cycle?